This coming June 18th to 26th, high school juniors through college sophomores will journey to our nation's capital to discover our country's spiritual legacy and their place in God's purpose. 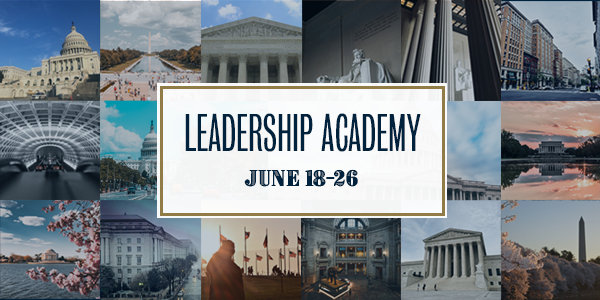 LFF's unique 2019 Leadership Academy Spiritual Legacy Tour will introduce young adults to America's spiritual heritage, Congress, the Courts, and the decision makers who make it work. We'll land in Washington, D.C., and venture to historic Philadelphia to trace the steps of the founding fathers' experiment in liberty. We will walk the halls of Congress with Louisiana's Congressman Steve Scalise in an exclusive tour of the U.S. Capitol. Congressman Mike Johnson will inspire hope and ignite a fire in hearts that will spark a passion to defend life, liberty, and limited government. We will witness the changing of the guard at the Tomb of the Unknown Soldier in Arlington National Cemetery in a life-changing moment! In addition to these amazing historical experiences, students will receive instruction from experts in the fields of law, public policy, government, and media. We are convinced the 2019 Leadership Academy Spiritual Legacy Tour will be the best ever! Mom, dad, grandparents - if respect for America's spiritual heritage and a passion for the future are your hopes for your young adult, then you need to secure a seat for them on this 'Freedom Riders Tour.' Your young patriot will return with a clear vision, a renewed calling, and some lifelong friends. 50 seats are available - so secure one now! This tour will be an unforgettable life experience – you don't want to miss it! The early-bird cost for this 8-day adventure is only $1000. 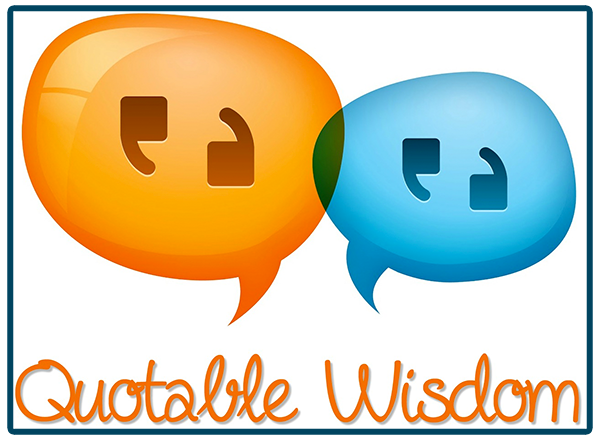 If you would like to scholarship a future leader, click here! In reversing an Obama-era decision that effectively allowed internet gambling, the Department of Justice has revitalized the Interstate Wire Act of 1961, an anti-gambling statute championed by then-Attorney General Robert F. Kennedy to fight organized crime, said John W. Kindt, a University of Illinois expert who is a leading national gambling critic. 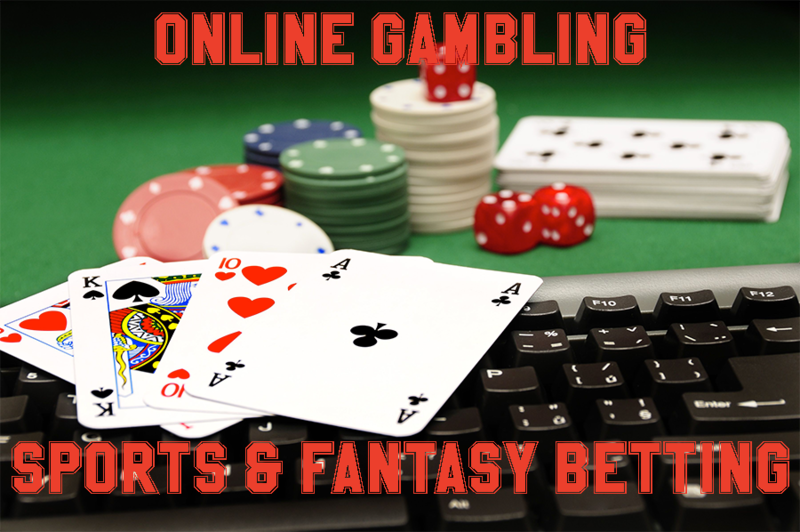 Under the 2011 opinion by President Obama's Office of Legal Counsel, gambling interests were "fast-tracking real-time, 24/7 gambling on every cellphone or internet-connected device, marketing it as harmless fun for kids…the medical and psychological communities have determined that electronic gambling – particularly gambling on smartphones, tablets or internet-connected video games – is the "gateway drug" for creating new gambling addicts, Kindt said. "When you're gambling, the same areas of the brain are stimulated that are also stimulated when you're using drugs like cocaine," he said. "Due to their mental immaturity and sense of invincibility, children and teenagers are particularly vulnerable to the thrills of gambling and may find it particularly addicting," he said. Late last year, the United States Court of Appeals for the Fifth Circuit upheld the Louisiana law requiring abortion physicians to have admitting privileges at a local hospital. The 2014 law, authored by Rep. Katrina Jackson, will soon go into effect because, in another pro-life victory today, the abortion industry's attempt to have the full court rehear the case failed by a vote of 9-6. The abortion industry's only recourse is to ask for Supreme Court review. Jackson, who heard the news while in Washington, D.C. speaking at DC March for Life, said, "The 5th Circuit has spoken today, providing its final word on Act 620 that protects the health and safety of women in Louisiana. I look forward to this law, which was supported by an overwhelming bipartisan majority of my colleagues, going into effect." Louisiana Attorney General Jeff Landry applauded the Fifth Circuit's decision "to halt the erroneous ruling and allow Louisiana's pro-life and pro-woman admitting privileges law to go into effect. Act 620 is a reasonable, common-sense safety measure," he added. "Anyone who has outpatient surgery would expect her doctor to admit her to a hospital in the event of complications; women seeking abortions should have the same assurance of prompt care." LFF likewise commends the Fifth Circuit for reaching the correct decision in this case. 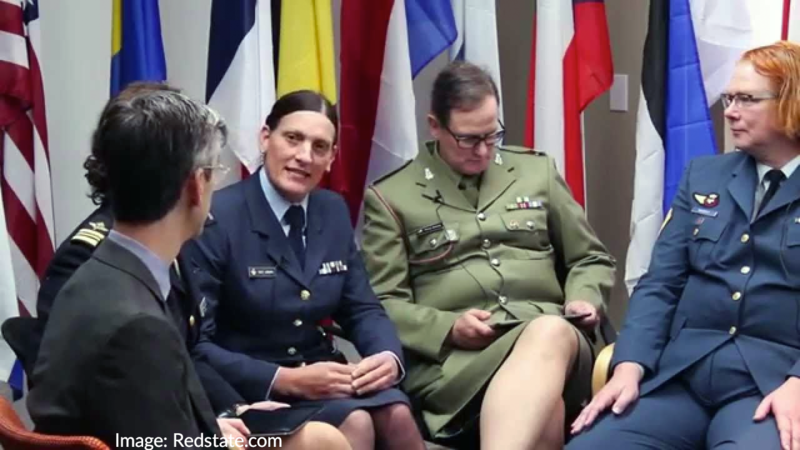 The Supreme Court on Tuesday granted the Trump administration's request to allow it to temporarily enforce its restrictions on transgender people serving in the military. The justices stayed district court injunctions that blocked the new policy pending a ruling in the 9th Circuit on the government's appeal. The court, however, did not agree to review the legality of the new policy, as the administration had asked. On Tuesday, plaintiffs in the cases against the policy vowed to keep fighting. Lambda Legal, which filed one of the lawsuits on behalf of nine individual plaintiffs and three organizations, called the Supreme Court's decision to lift the injunctions while not immediately reviewing the case "perplexing." "Regardless of whether a Democrat, Republican, black, white, male, female, we fight!" 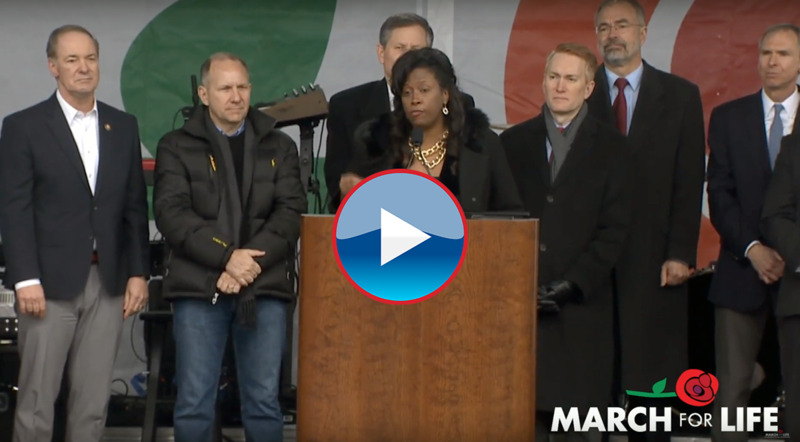 – Louisiana State Rep. Katrina Jackson to the D.C. Life March crowd – who shouted back – "for life!" Do you know the longest married couple in Louisiana? 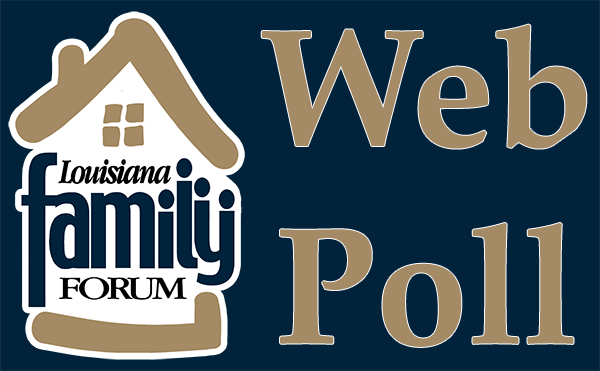 If you do, please email Kristie at kristie@lafamilyforum.org or call 800-606-6470. Please be prepared with the couples names, wedding date, and contact information. CLICK HERE for more information.